The following exhibit was created by the Flippin High School Family Dynamics class taught by Mrs. Emma Graves. All of the students in this class collected recipes to add to the class project. Cream oil and sugar, add eggs, then pumpkin; beat at medium speed for 5 min. then add dry ingredients alternately with water. Continue beating 2 min. Next, fold in raisins and nuts by hand. Bake at 350 degrees for 1 hr. in four well-greased and floured 1 pound coffee cans. Cream together, add two eggs. Sift together 2 c. flour, 1 ½ soda, 1t. Cinnamon, 1 t. vanilla, ½ c. raisins, and ½ c. nuts. Pour in a 9x13 in. pan. Bake 40 to 45 min. When done, pour topping on cake and return to oven for five minutes. Add 1 1/2 c. flour (½ c. self-rising),1 t. vanilla, and 1 c. nuts. Mix well. Pour in a 9x13 in. pan and bake 25 min. at 350 degrees F.
Mix well. When cake is done, pour one small package miniature marshmallows on top and return to oven until marshmallows are soft. Remove from oven and mix in icing with marshmallows on the cake. Combine all ingredients with a little mustard and mayonnaise. You may add or subtract from this. Preheat oven to 375 degrees. Mix all ingredients. Bake 45 min. Mix ingredients as given. Pour in 9 in. pie shell. Bake at 425 degrees for fifteen min. Reduce heat to 350 degrees and continue baking for 45 min. Beat eggs and next four ingredients. Mix well. Stir in coconut. Pour in pie shell. Bake at 350 degrees for 45 min. Heat oven to 375 degrees. Cream butter, sugar, milk, and vanilla. Add eggs, beating well. Combine flour, salt, and soda. Add to creamed mixture and mix well. Stir in chocolate chips and nuts. Drop on an ungreased cookie sheet about 3 in. apart. Bake 8 to 10 minutes. Saute bacon and onions. Add remaining ingredients. Simmer 15 min., stirring occasionally. Mix all ingredients. Pour into pie shell. Bake at 350 degrees for 35 minutes. Mix as cream cake. Bake in loaf. Mix as cream cake. Bake in two separate pans for 20 to 30 minutes or until done at 325 degrees. Melt chocolate. Blend other ingredients and mix. Spread. Beat three egg yolks. Add sugar gradually until creamy. Sift flour, salt, and baking powder together. Add alternately with boiling water. Add vanilla. Fold stiffly beaten egg whites. Pour into a cake pan. Bake 30 minutes at 350 degrees. Let cool. Cut into two inch squares. For frosting, cream butter, 1 egg yolk, and powdered sugar. Add tsp. vanilla. Spread on all sides of squares. Roll in peanuts. Cream lard and sugar until fluffy. Add mashed bananas and beaten eggs. Add dry ingredients gradually. Bake at 350 degrees for 15 minutes. Decrease temperature to 275 degrees and bake for 30 minutes or until done. Cream the fat and syrup and add eggs. Sift the dry ingredients together and add the peanuts. Combine with the first mixture. Stir until blended. Drop the batter by teaspoonfuls onto an oiled baking sheet and bake at 350 degrees for 20 minutes. Melt butter, add milk, then stir in molasses, and cook slowly about 5 minutes over medium heat to make a smooth syrup. Remove from heat and let cool. Fold into whipping cream. Mix flour, soda, baking powder, and spices. Add honey to creamed lard, beating lightly. Beat in egg, add flour to mixture alternately with applesauce. Bake at 350 degrees for 1 hour. Cream fat. Mix eggs, honey, and milk. Add nuts, and fruit to sifted dry ingredients and add alternately with the liquid to the creamed fat. Drop by teaspoonfuls on a greased baking sheet and bake at 375 degrees for 10 minutes. Beat egg yolks until thick and lemon-colored. Add sugar, beat well, add honey and combine lightly. Add boiling water. Beat 30 seconds, add salt, cream of tarter, vanilla, flour, and fold in beaten egg whites. Pour into a tube pan and bake for 50 minutes at 300 degrees. Cover plums with cold water and cook slowly until well done. Put through colander, measure, and for each cup of pulp add ½ c. honey or light sorghum. Cook slowly until thick and clear. Seal in sterilized glasses. Take equal weights of strawberries and honey; Mix the two and dry in sun under glass or in a warm oven. Put into sterilized glasses and cover with paraffin. Fry bacon until crisp, set aside. Put onion and bell pepper into frying pan, cool until tender. Add corn and chicken broth. Simmer until all vegetables are soft. Thicken with cornstarch and water, add salt and pepper to taste. Serve in bowls with crumbles of bacon on top. Mix all ingredients in a large bowl. Place in a greased baking dish. Cover with topping. Bake 35 min. at 350 degrees, uncovered. Cream sugar, butter, and lard. Add eggs, one at a time, beating well after each addition. Sift flour and baking powder. Add to creamed mixture with milk. Stir in vanilla and lemon. Pour into a greased and floured tube pan. Bake at 325 degrees for 1 ½ hours. Combine all ingredients. Mix very well. Bake in an Angel Food cake pan at 350 degrees for 1 hour. Cover with topping while warm. Place sliced apples in a shallow baking dish. Add water and one teaspoon cinnamon. Mix flour, butter, and sugar until crumbly in texture. Spread over apples. Sprinkle with remaining cinnamon. Bake at 350 degrees for 45 minutes. Slice and cook beets. Mix sugar, vinegar, cornstarch, water, and salt. Cook 5 minutes. Place over cooked beets. In a skillet over medium heat, saute mushrooms and onions in butter for 5 minutes. Add seasonings and mix well. Add peas. Mix all ingredients and pour into pie shell. Bake at 350 degrees for 40 minutes. Cut lard into salt and flour with fork. Add water and stir. Knead lightly, roll out. Bake at 350 degrees for 10 minutes. Cut oranges into slices. Add water, simmer 15 minutes after it comes to a boil. Add honey, bring to boil. Simmer very slowly for 30 minutes. Add lemon juice and liquid pectin. Bring to full rolling boil and allow to boil 30 seconds. Remove from fire, skim, let stand about 5 min. Pour quickly into sterilized glasses. Paraffin at once. Combine fruit juice and granulated pectin. Boil 3 min., then add corn syrup and boil until jelly sheets from edge of spoon. Remove from fire and fill jelly glasses. Any variety of white or yellow peach of good dessert quality will make satisfactory preserves if chosen at the firm-ripe stage. Wash and prepare the peaches. Either leave them whole or cut them into uniform pieces such as halves, quarters, or eighths. To each pound prepared fruit, allow 3/4 to 1 pound sugar. Combine the fruit and the sugar in alternate layers and let stand 8 to 10 hours or overnight before cooking. Or add the sugar and one-fourth cup water for each one pound of the fruit and cook at once. In either case, stir carefully while heating to boiling. Boil rapidly until the syrup is somewhat thick, stirring constantly to prevent burning. Pour at once into hot sterilized jars and seal. The Kieffer pear is a variety commonly used for preserving because it holds its shape and has a good flavor. It is important to allow the fruit to reach the firm-ripe stage. If possible, store Keiffer pears for 2 to 3 weeks at 60 degrees to 65 degrees F. to obtain the best qualities for preserve making. Empty the peaches into a shallow baking dish. Add tapioca and let stand about 10 minutes. Add the sugar, salt, and spice. Mix well. Dot top with butter. Roll biscuit dough to a thickness of 1/4 inch. Prick and arrange over the top of the peach mixture. Bake in hot oven (400 degrees F.) about 30 minutes, or until well browned. Serves 8. Use lean pork chops, cut rather thick. Roll in crumbs. Slice onion and cook in fat until slightly brown. Arrange chops in the pan, sprinkle with salt, pepper, and lemon juice. Brown one side, turn, and add water almost to cover, and cook in a moderate oven (350 degrees F.) until tender, removing the cover for the last fifteen minutes. Baking time, 50 minutes. Serves 6. Cream shortening with sugar. Add molasses, well beaten eggs, and sour cream into which soda has been stirred. Add spices and enough flour to make a soft dough. Chill, roll to one-fourth inch in thickness and cut with a cookie cutter. Bake on greased baking sheets in a moderate oven. Soften yeast in 2 tablespoons lukewarm water. Add ½ teaspoon sugar. Cream fat. Add sugar, egg, and lukewarm milk. Add yeast. Mix and sift salt and flour. Stir into first mixture until dough is firm. Knead 10 to 15 minutes on a floured board, until smooth and elastic to the touch. Put dough in a greased bowl. Set in a warm place to rise until dough is doubled in bulk. Knead again. Roll out into a rectangular shape 1/4 inch thick. Spread with softened butter. Dredge with brown sugar. Sprinkle with chopped pecans. Roll like a jelly roll. Cut in 1-inch thick slices. Place 4 whole pecans, 2 teaspoons brown sugar, and ½ teaspoon butter in each muffin pan. Press 1 roll into each hard enough to make the nuts stick. Cover and set in a warm place to rise until doubled in bulk. Bake in moderate oven (350 degrees F.) about 20 minutes, or until lightly browned. Turn out, bottom side up, so pecans will be on top. Yield: 12 rolls. Rinse beans in colander with cold water. Cover with cold water and soak 12 hours. Drain. Cover with salted boiling water. Simmer slowly 1 ½ hours. Drain. Put in greased baking dish or bean pot with salt pork scattered in. Mix molasses, mustard, pepper, and 2 cups hot water. Add to beans. Dot with butter. Cover and bake in moderate oven (350 degrees F.) until beans are soft, about 3 hours. Uncover last 30 minutes of cooking to brown beans. Serves 6. Mix and sift dry ingredients. Beat egg, add milk and combine the two mixtures. Add melted shortening. Turn into a greased shallow pan and bake in a moderately hot oven (400 degrees F.). Baking time, 20-25 minutes. Serves 8. Add to the pumpkin the butter, salt, sugar, spices, milk, cream and well beaten eggs. 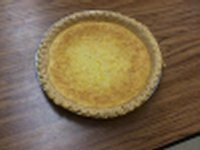 Pour into a pastry lined pie plate, put into a hot oven (450 degrees F.) and after ten minutes reduce the heat to moderate (350 degrees F.). Bake until the filling is firm. In order to have pumpkin pie at its best, prepare the pumpkin by cooking it very slowly until it has lost most of its moisture and takes on a rich, golden brown color. Baking time, 10 minutes at 450 degrees; 30 minutes at 350 degrees; makes 1 large pie. Scald liquid and add shortening, sugar, salt, and cinnamon. Cook until lukewarm. Add the yeast cake, which has been softened in lukewarm water, and the raisins. Add whole wheat flour and enough white flour to make dough which can be handled. Knead until smooth and elastic and let rise until doubled in bulk. Cut down and knead again. Shape into a loaf, place into a greased pan, and again let rise until doubled in bulk. Put into a moderately hot oven (375 degrees F.) and after ten minutes, reduce the temperature to moderate (350 degrees F.). Baking time, 10 minutes at 375 degrees; 40 minutes at 350 degrees. Makes 1 loaf. Mix dry ingredients then add shortening until the mixture crumbles up. Add egg and milk. Mix good, put on floured board and knead. Roll out and use a glass to cut round biscuits. Bake in oven at about 450 degrees for 10 to 15 minutes. Pinch off thumbnail sized biscuits into boiling mixture. Then simmer on low for 20 minutes. Heat oil in large skillet. Mix all the ingredients and bacon fat together. Drop by spoonfuls into hot oil, fry until brown. Mix dry ingredients then add shortening until the mixture crumbles up. Add egg and milk. Mix well, put on floured board and knead. Roll out and use a glass to cut round biscuits. Bake in oven at about 450 degrees for 10 to 15 minutes. Cut up cucumbers and tomatoes in slices or chunks. Mix all ingredients, cover and refrigerate for 4 hours. Shred cabbage thin with a knife. Add salt (enough to taste good), mix salt through cabbage with your hands until it makes it's own juice. Pack tightly in quart jars, put jars in large container. Partly seal to let the juice expand in fermenting. After 3 days, seal tightly. Wash, pare, and core pears. Chop the pears up fine. Mix pears and diced pineapple, add lemon rind and juice. Then add sugar and ginger, cook for 20 minutes over low heat. Stir constantly, pack into jars and seal while hot. Mix milk and egg, mix dry ingredients together. Roll chicken in milk and egg, and then in flour mixture. Takes about 30 to 40 minutes to get good and done. Cook until it forms a hard ball in cold water. Cook and stir constantly until it turns brown, then add 1 teaspoon of soda . Pour in greased pan and cool. Tie spices loosely in cheesecloth bag and boil with vegetables until mixture is reduced to half its volume. Stir well while cooking to prevent scorching, add vinegar, salt and sugar. Boil for 5 minutes, stirring constantly. Pour into jar and seal. Wash your cucumbers real good, slice them, and put them in water overnight. Fix vinegar and sugar go by taste, boil and do not add any water to this. Scald your jars really good and fill with drained cucumbers, then fill with vinegar and sugar mixture. Seal jars with lids, then wipe off jars. Measure sugar -- set aside. Pan should be no more than 1/3 full to allow for boiling. Place juice in pan, add Sure-Jel. Bring to a hard boil, stirring continually. At once add sugar. Bring back to full boil, stirring constantly for 1 minute. Remove from heat. Skim foam. Pour into scalded jars. Cool before sealing. Wash tomatoes. Peel by dropping into boiling water until skins split. Pour cold water over tomatoes until you can handle them. Core tomatoes. Squeeze enough juice from tomatoes to boil them in. Boil tomatoes in tomato juice until done. Scald jars and lids. Put tomatoes in quart jars, adding one teaspoon of salt to each quart. Lift lids and rings out of boiling water and seal immediately. Sift flour and other dry ingredients together. Rub in shortening. Add sour milk. Roll on floured board and cut into biscuits. Bake at 450 degrees for 6 minutes or until slightly brown on edges. Do not over bake. *If you don't keep sour milk at home, you can substitute 3/4 c. of milk and 2 tbsp. of vinegar. Sift together flour, salt, and soda. Cream together Crisco, Oleo, sugar, egg, and flavoring. Add dry ingredients 1/3 at a time, while also adding 2 tbsp. sweet milk. Let cool in refrigerator for awhile. Roll into small balls. Place on cookie sheet. Dip bottom of drinking glass in water. Partially dry, then dip in sugar and mash ball of cookie dough. Bake at 400 degrees for 6 minutes or until slightly brown at edges. Do not over bake. Mix thoroughly and shape into balls. Brown in oil. Remove from pan. pinch of soda (1/4 tsp.) -- add last. Heat oil, add onion. Cook until clear. Add paste mixed with water, sugar, and other seasonings. When sauce has boiled, add soda. Then add meat balls. Simmer 1 hour, covered. May need to add small amount of water. Serve over spaghetti noodles with Parmesan cheese. Line baking pan with foil. Spray with oil. Slightly brown broken-up pork sausage. Cool. Cut cheese about size of fingers. Slightly form sausage about cheese then roll up in flattened chicken breast. Place in pan, plain side up. Top with slices of bacon. Bake at 450 degrees for 30 minutes. Baste with barbeque sauce. Bake 5 minutes more or until done. Serve with broccoli or rice, salad or baked potato. Brown, drain beef, then mix above ingredients (except taco chips and cheese). Then simmer about 15 minutes. Line casserole dish with crushed taco chips. Pour in mixture, pour taco sauce over this. Add cheese. Cover with more crushed taco chips. Bake well at 400 degrees until heated through. Sift flour, baking powder, and salt together. Rub shortening in with fingertips. Add milk slowly and mix to a soft dough. 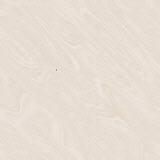 Roll out on a slightly floured board to ½ inch thickness. Cut with a biscuit cutter. Bake in quick oven at 450 degrees for 10-15 minutes. Yield: 12 biscuits. Peel and chop apples. Mix all ingredients together, bring to rapid boil and simmer until thick. Pour in Kerr jars to within 1 inch of top. Put on cap, screw on band firmly. Process in the boiling water bath: pints and quarts -- 25 minutes. Yield: 4 pints. Mix dressing, jam, and soup. Pour some over chicken. Heat at 350 degrees until very hot. Pour remaining mixture over chicken. Mix water, sugar, and flour. Cook until thickened. Stir in egg yolks. Remove from stove. Add butter and lemon juice (or preferred flavoring) to taste. Make meringue. Use pre-baked pie crust. Put in a dish you are going to heat up. Put a small amount of butter on top of potatoes. Bake at 350 degrees for 15 minutes. 3 cups mashed sweet potato. Pour into two quart casserole and sprinkle with topping. 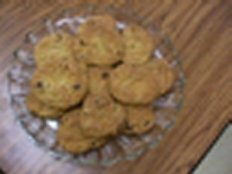 1/4 cups flour 2 ½ tbsp. In large bowl, stir together first 6 ingredients. Add next 4 ingredients, toss together well. Cover, chill several hours. In large bowl, stir together the first 6 ingredients. Then add next four ingredients. Toss together well, and cover. Chill for several hours. Beat egg and sugar together, add syrup, vanilla and peanut butter, mix until smooth. Bake 40-45 min. While still hot, sprinkle chocolate chips on top. 2nd -- 1 can pumpkin mix (1lb 14 oz). 2 eggs, 2/3 cups mix (mix well). Pour over top of unbaked crust. 3rd- 1 cup reserved cake mix, 1/4 cups sugar, 1/4 cup soft butter, 1 teaspoon cinnamon. Sprinkle on top - bake 350 degrees - 50 to 60 min. Using a 9 X13 pan, grease & flour, then line the bottom with chopped nuts and coconut. Mix cake according to directions on the box. Mix well, and pour over nuts & coconut. Melt cream cheese & stick of oleo. Blend together, pour over the powdered sugar & mix well. Pour over the cake. Stir knife around to make a marble effect. Bake at 350 degrees for 45 min or until cake springs back when touched. Good and rich! 2 (8 ½ oz) pkg. cranberry muffin mix or 6 cups of corn bread. 1(10 3/4) cream of chicken soup . Crumble bread in large bowl, saute' celery and onion in two tbsp. hot oil in a large skillet. Add soup, chicken broth, sage, salt, and pepper. Bring to boil. Pour over cranberry bread, stir till moist. Stir in eggs and spoon into greased pan. Bake 350 degrees for 45 min. 1/4 butter melted, mix and spread in bottom of pan. 3 or 4 bananas, 15 oz. Mix butter and sugar till smooth. Spread on crust. Slice bananas on top. Spread pineapple on top of bananas. Top with Cool Whip. Add eggs, oil, sugar, mix well. Add flour, salt, soda and mix. Add vanilla, apples, and pecans. Put in greased pan (8X9), in tube or 9-13 in. pan. Bake 350 degrees --1 hour or less. Pour hot topping over cold cake. Mix well and pour into casserole dish. Top with crushed cornflakes and grated cheese. Bake for 45 minutes in 350 degree temperature or until hot and bubbly. Bake at 550 degrees for 35-40 minutes. Make a sauce of the soup, milk and cheese. Layer beans, onion rings and sauce, ending with onion rings on top. Bake 30 minutes at 325 degrees. Mix sugar and oil. Add eggs, add flour, and dry ingredients to egg mixture. Stir in chopped apples and nuts. 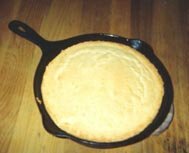 Grease and flour cake pan. Bake at 350 degrees for 55-60 minutes. Mix and cook sauce for 10 minutes. Pour sauce over ribs and cook about 1 hour and 15 minutes at 350 degrees. Cream oleo, sugar, and cheese, add fruit, add Cool Whip and freeze. Remove a short time before serving. Grate and peel from 4 oranges in a bowl. Save 1/4 cup orange juice. Remove pulp from section, cut into chunks. Cover with 1c. sugar. In large bowl, put 10 sliced apples. Mix with oranges. Cover with 2 c.sugar, let stand overnight in refrigerator. Bring to boil, simmer on low heat till apples are transparent, or until mixture thickens (1 ½ hours) Add 1 pkg. Sure-Jell to 1/4 cup orange juice. Remove mixture from heat. Stir in Sure-Jell, boil 1 minute. Place in jar and seal. Cook raisins with sugar and water. When done, remove from heat and add butter, let cool. Then add the beaten eggs to the raisin mixture. Sift dry ingredients, add fruit and nut meats to dry ingredients. Pour the raisin and egg mixture over dry ingredients. Mix well. Line pan with grease. Bake in an 8 inch tube pan at 325 degrees for 1 hour.. Cream butter and sugar. Add eggs and beat until smooth. Sift together dry ingredients, add alternately with milk. Chill for ½ hour. Drop by teaspoonfuls on greased cookie sheet.. Flatten into thin rounds. Bake in hot oven (425 degrees) for 8-10 minutes. Makes 5 dozen cookies. Stir all together well. Add 1 large carton of Cool Whip. Spray inside of large loaf pan with Pam and freeze overnight. Let thaw 1 hour before serving, slice with sharp knife. Slice cucumbers thin in a large bowl. Slice onions diagonally as thin as cucumbers, add to the cucumbers in a small bowl. Mix vinegar, sugar, salt, pepper, and dill weed until well blended; pour over onions and cucumbers, coating all pieces. Marinate for 1 hour, serve over lettuce leaf or buffet style. Makes four servings. Bring to boil and pour over cucumbers in jars, seal, use heated water boil 5 min. in boiling water. Combine all ingredients in large sauce pan; mix well, simmer for 30 minutes until thickened and clear. Pour into hot jars and seal. Mix all together, boil 3 minutes, seal while hot. f you would like to read about cooks in the Ozarks and their cooking experiences, click here.